Maid In Tucson, LLC is here to make sure the homes of Oro Valley are thoroughly cleaned at a reasonable price. 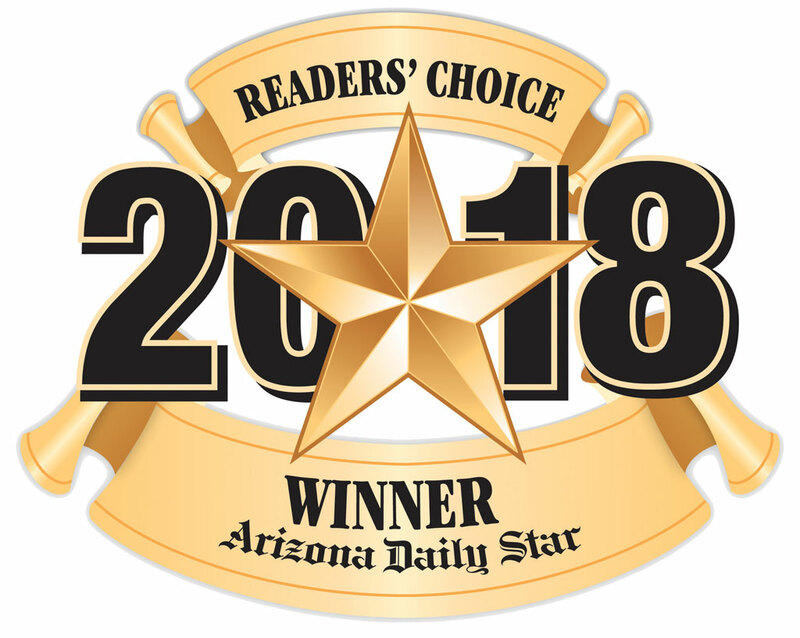 Being in the housekeeping industry for so many years we have had the privilege of meeting many of the fine people and families of Oro Valley and we are very proud to say that much of our business comes from repeat customers and word of mouth. Our goal is to get your living space clean so you can live your life. To this end Maid In Tucson, LLC offers a very flexible schedule to the people of Oro Valley. Whether it is a onetime cleaning for moving in or out of a residence, a spring cleaning, or a scheduled weekly, biweekly or monthly cleaning service, Maid In Tucson, LLC will organize the best cleaning plan for you. 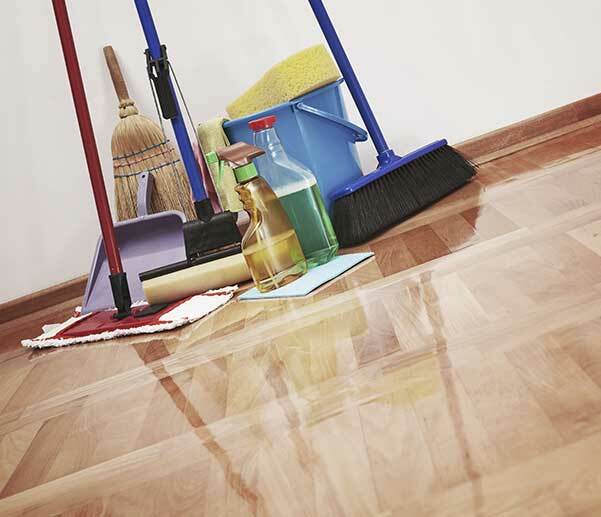 We also offer green friendly housekeeping services using only biodegradable cleaning products. 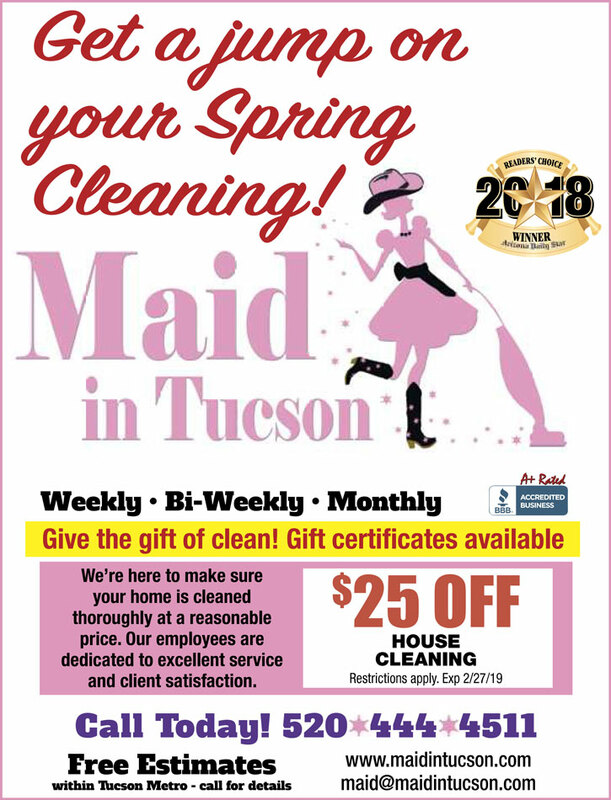 For the people of Oro Valley looking to have more time for the activities you need or want to do, Maid In Tucson, LLC is here to take the chore of cleaning off your hands. Our crew is reliable, thorough, professional, and specially trained in using the best products and techniques. We make it a priority to ensure our customer’s satisfaction; we always methodically discuss their needs and expectations beforehand so they will receive the finest cleaning service possible. You have a lot to deal with when you move. Maid In Tucson, LLC’s housekeeping service can clean the residence you are leaving from or going to so you have one less thing to worry about. Maid In Tucson, LLC is here for the people of Oro Valley to tackle their residential cleaning needs.